Today was a busy, busy day! We dove head first into learning about multiplication. I’ve been hearing all year “Ms. Fambro when are we going to learn times?” Well today they were so excited when I told them it was finally time! 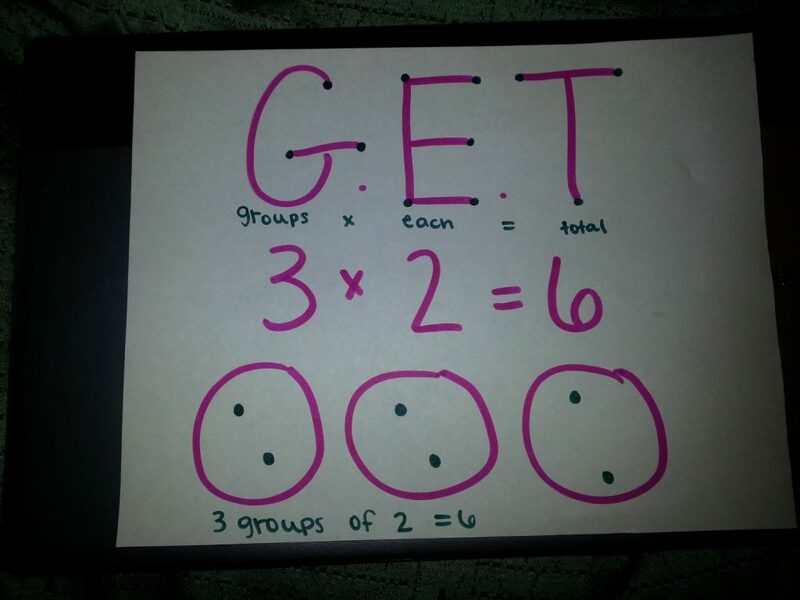 Multiplication can always been our a tricky subject for our sweet little ones to learn. 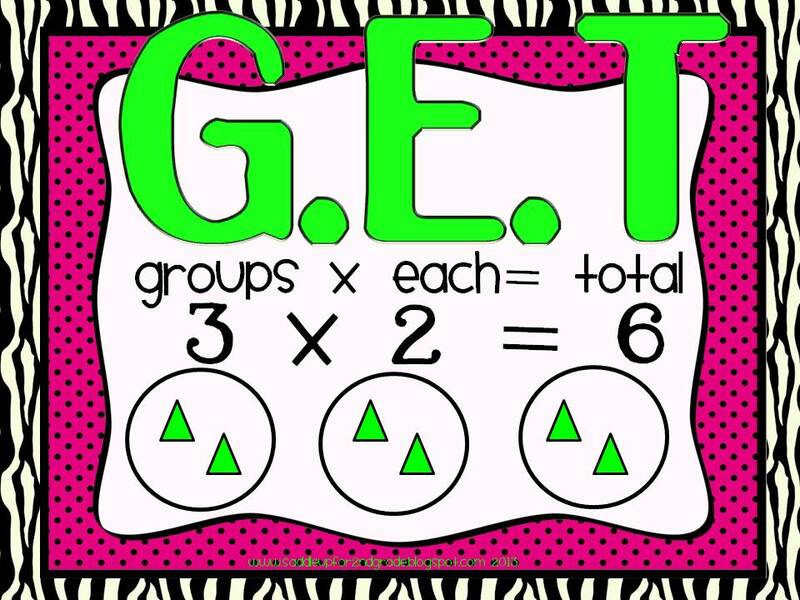 I use something called the G.E.T (groups x each = total) strategy to help introduce this concept, its something I learned during student teaching and it just seems to work. 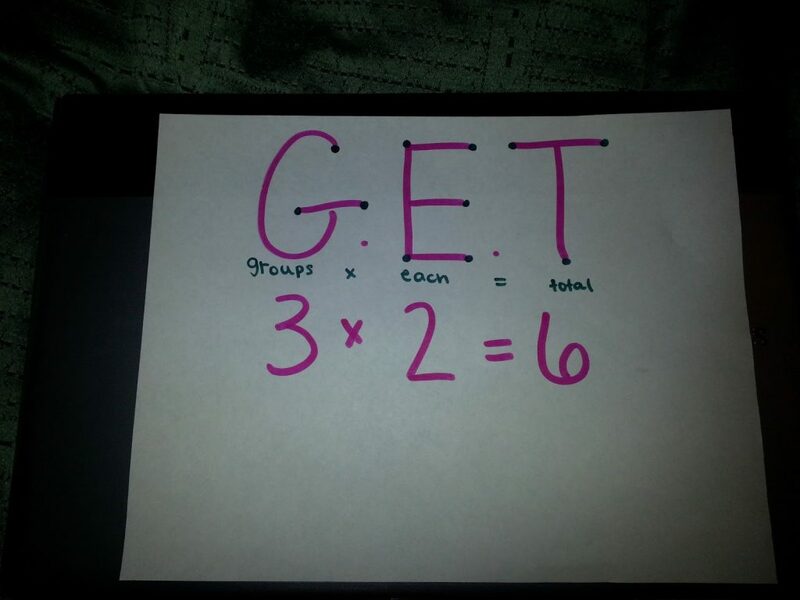 Then the draw their “groups” which is always the FIRST factor in the problem. I always have them draw circles because its the easiest. They drew 3 circles. Next they draw the “each” which is the SECOND factor in the problem. I have them draw dots. They like that it looks like a cookies and it helps them relate. They drew 2 dots in each circle. Here they are working out a few examples! 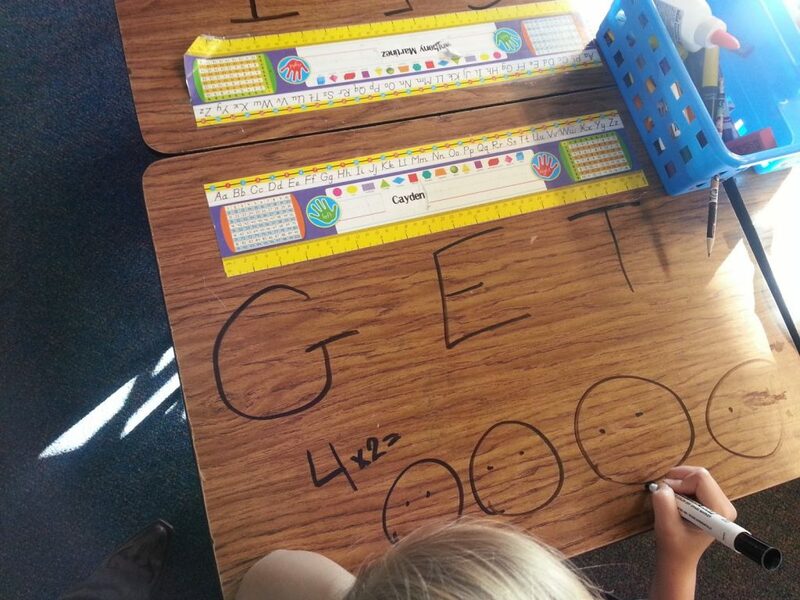 Just FYI, if you didn’t know that dry erase comes off desks, now you do! It’s like having a built in white board for them all the time! 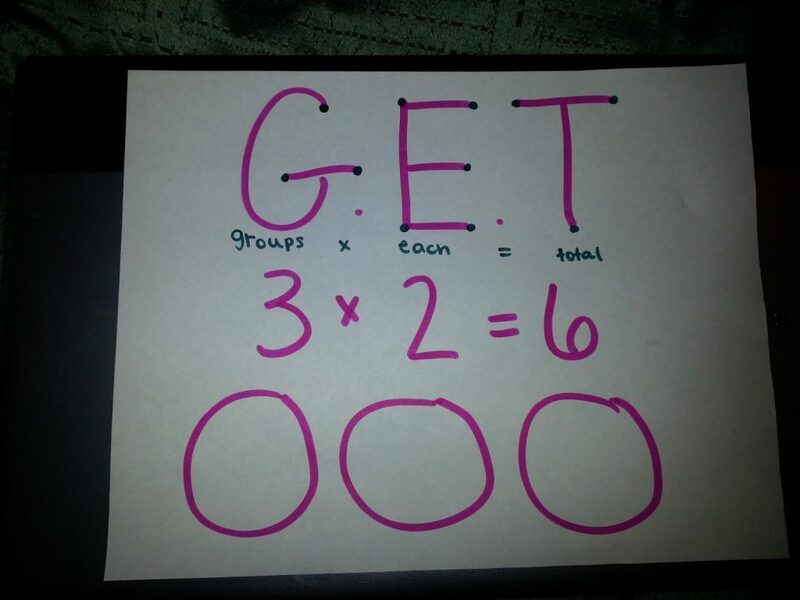 Here is a poster I display on my math board. Click on the picture below or here to get this freebie! I’m currently working on a Multiplication unit. Hopefully I’ll get it done soon. 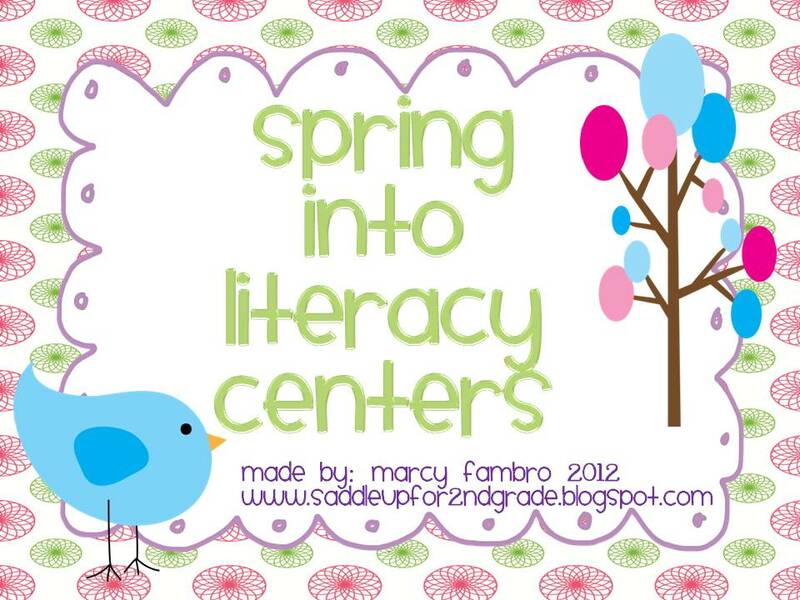 I did manage to finish my “Spring into Literacy Centers” last night! Blooming Contractions: Match the flower with it’s contraction center. Includes recording sheet. 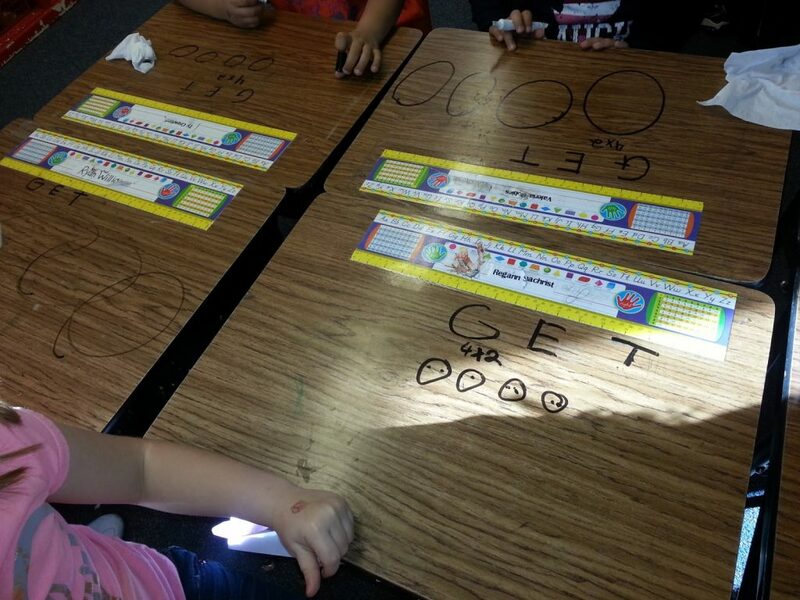 “Egg”celent Compound Words: Easter egg compound word puzzles. Includes recording sheet. Flying Synonyms: Synonym puzzles and recording sheet. I Spy Antonyms: Hid antonym cards around the room and search for the them! Includes recording sheet. Hip Hop Nouns and Verbs Game: Includes directions, game pieces, game board and game cards. Springy Syllable Sort: 1-4 syllable word cards to read and sort. Includes recording sheet. 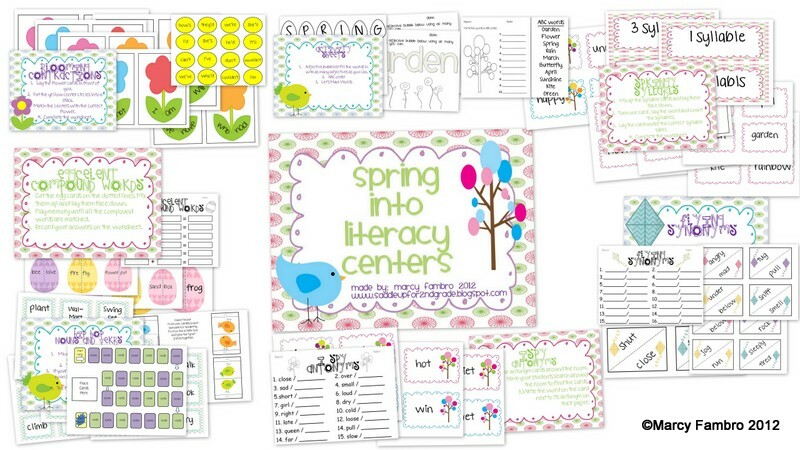 I’m almost to 100 followers on my little blog and well past that on my TPT store! You know what that means! Check back later to find out!